They have been talking about these two lunar events for the last few days. The “harvest moon” the full moon closest to the autumnal equinox (fall) – and a total lunar eclipse. 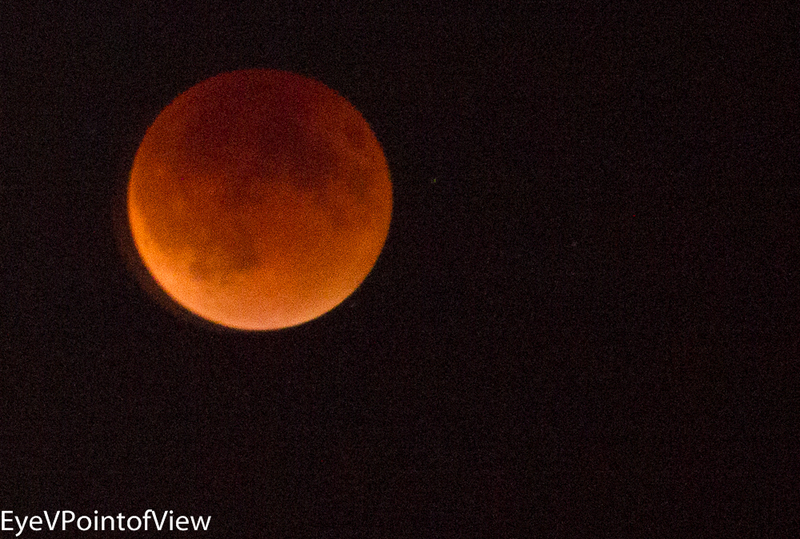 A total cornucopia of lunar photographic opportunities – in other words, a photographer’s dream. I had been waiting on it all day (but didn’t put it on my calendar), so I almost missed it. At 9:20, I looked up, and it was almost over in Chicago. I couldn’t help myself – I got the camera out, set up the tripod, and novice that I am, started snapping. Form a photographic standpoint, I think I missed the actual eclipse. 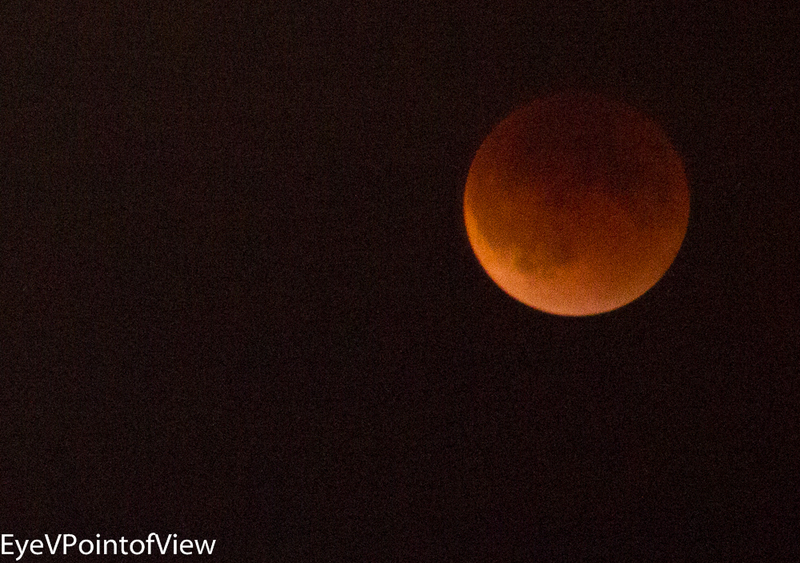 But I did catch the harvest moon, and the moon after the eclipse in its full glory. Hope you enjoy thee 5* images. Harvest Moon – This image captures the full moon in its orange state. It’s like this because it is closest to the horizon at this point. Eclipse? – I say so, but what do I know? It looks sort of like the shot I saw on the NASA website, so I am claiming that that dark shading you see on this orange moon is the shading that resulted from the moon passing behind the earth. 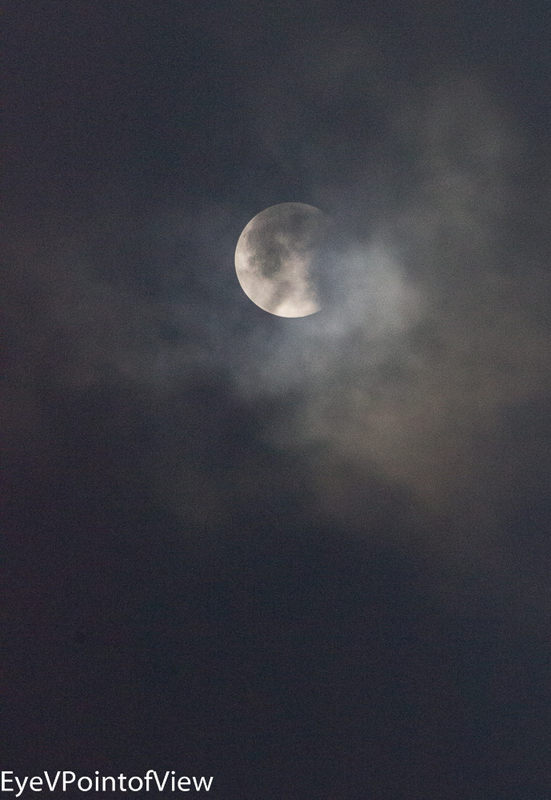 After the Eclipse – It was a fairly cloudy night, so after the eclipse the moon kept going in and out of the clouds. I can’t even begin to describe how hard it was to get this image. Suffice it to say that I gave up on using the tripod in the traditional way, and was laying on my back on the floor, with one leg of the tripod digging into the floor for support and to hold it steady. 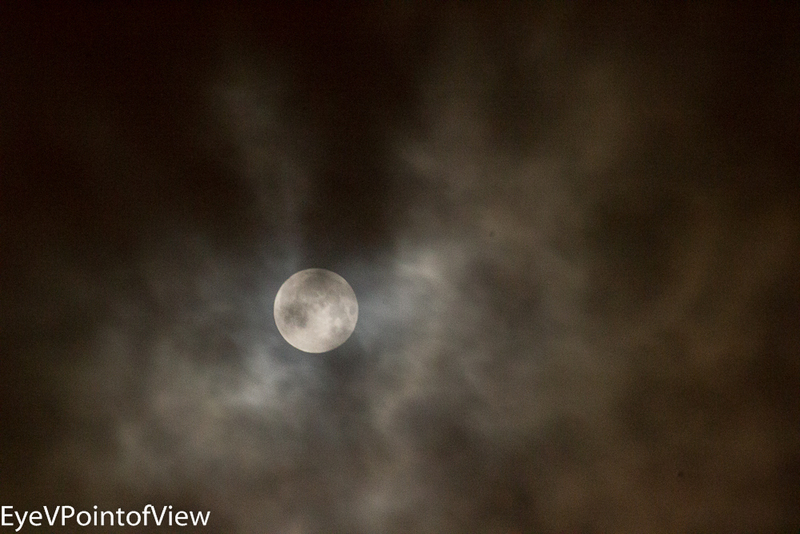 Cloud Cover – I loved this image where the moon appeared from behind the clouds in the dark of the night. They look cottony, almost wispy, in front of the glowing orb. Before I knew it, two and half hours had passed. I had spent the time trying to adjust the camera to get the perfect image. I identified all kinds of photographic equipment I could have used – a gorilla-pod so I could rest the camera on the window sill; an even longer lens so I could zoom more than 250 mm, a mono-pod (which I actually did have, but thought I would miss something if I took the time to set that up). This was a test for me – could I actually use the right settings on the camera to get some quality images? I hoped so, and as mentioned, tried almost every one of them! The effort paid off. Hope you enjoy these 5* images!